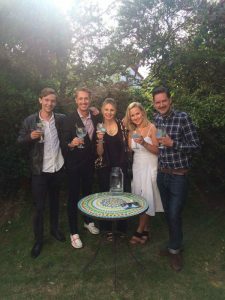 The Channel 4 television show Come Dine With Me is looking for the right ingredients for a successful show in Brighton and Hove. The casting team are looking for couples who like to host and cook to take part in Couples Come Dine With Me. They said: “We are returning to Brighton and surrounding areas to meet new incredible couples to partake in the new series of Couples Come Dine With Me. “Are you a whizz in the kitchen? Do you host a great dinner party? Think you’ve got what it takes to walk away with £1,000? Then we want to speak to you. “Our teams are on the lookout for wonderful couples to be part of Britain’s favourite dinnertime show. Prospective contestants should email cdwm@shiver.tv with their name, age, contact details and postcode or click on the link https://itvuk.etribez.com/ag/itvshiver/cdwmcouples/welcome.html. Brighton has been a popular location for Come Dine With Me over the years, with the last set of local shows being broadcast in July last year.